Waltmann und Sohn has set to itself a target of offering its users the most easy to use,comfortable,durable and innovative products in today's highly competitive market. Fine dining starts with the cutlery used for special entertaining purposes. Waltmann und Sohn has set to itself a target of offering its users the most easy to use,comfortable,durable and innovative products in todays highly competitive market. 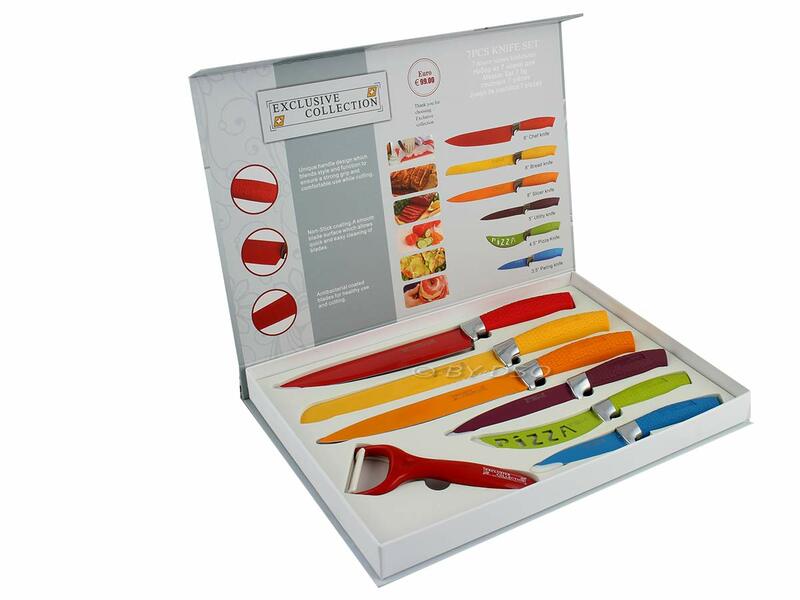 These 8 piece Kitchen Knife set has a non-stick coating to stop things sticking to it, and antibacterial blades for a cleaner cut. These sets come in white, Purple or Multi coloured giving you the opportunity to blend it in to your kitchen style. 8 Pcs non-stick coating Kitchen Knife set with rubber coated handles. Cook into a whole new experience with Waltmann und Sohn.